This powerful 5-day course takes Brain Gym onto a whole new level. It enables you to assist change on a very deep level, by releasing sabotaging belief-patterns, teaching the muscles to move easier, increasing our energy, switching on our eyes and much much more. 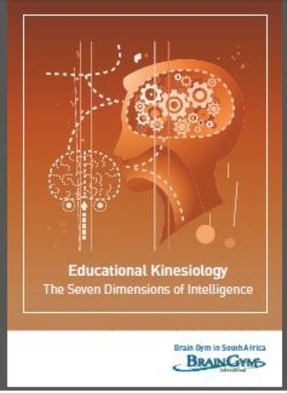 You will learn about the seven dimensions of intelligence. When switch-on all these seven dimensions for your goals and those of your clients, achieving these goals feels now natural. You will learn many new techniques and exercises to add to the tools you have learnt already in your other courses. Cent ring - Depends upon the relationship between the cerebral cortex and the brain stem. Focus - the intelligence created by our focal attention and its connection to our muscles and tendons. Cranial rhythm - the postural/structural intelligence of the brain/body system.